Bellevue, WA – Apr 5, 2017 – Mobilize.Net today released an update to its Silverlight migration tools for Visual Studio 2017. In the latest update Silverlight bridge and Silverlight desktop provide full support for Visual Studio 2017 both in source code compliance and in generating VS2017 solutions. In addition, both tools have been enriched with additional artificial intelligence features that make more informed decisions on the Silverlight code ensuring that the resulting code is cleaner and faster. Mobilize Silverlight tools are available at https://www.mobilize.net/silverlight. Mobilize tools which provide migrations from VB6, PowerBuilder, Silverlight and more enable customers to move all the way to web, mobile and cloud via additional automation. Hundreds of thousands of customers have successfully used Mobilize tools to convert code to .NET, web, and beyond. All vertical markets are represented including healthcare, manufacturing, banking, energy and more; plus major corporations like Bank of America, Citigroup and Microsoft have used VBUC to transform large workloads to new platforms. In addition, system integrators like Avanade, Infosys, Wipro and others have found Mobilize tools to be a very valuable tool in migrating their customers’ code to new platforms. A full list of Mobilize customers can be found at http://www.mobilize.net/resources/customer-list. BELLEVUE, WA – Oct 12, 2016 – Mobilize.Net, the leading modernization tools provider today, announced it has extended WebMAP to include support for PowerBuilder in its list of source languages and platforms. With this release, Mobilize.Net’s WebMAP tools now automate the conversion of PowerBuilder applications to cloud-ready Java-based server components and fully native HTML5 clients. Customers receive a native code application on the new platform that is re-factored and re-architected optimally for web, mobile and cloud. Mobilize.Net's powerful WebMAP software migration technology automates the transformation of PowerBuilder apps to modern web apps. In most cases, WebMAP automates 90% or more of the code conversion. The tool reduces the manual work of migrating to the web and gives developers less project risk because there are fewer bugs and feature creep than is typical with a manual rewrite. The resulting web applications follow industry standard web architectures; ensuring that the app is future-proof and mobile and cloud-ready. 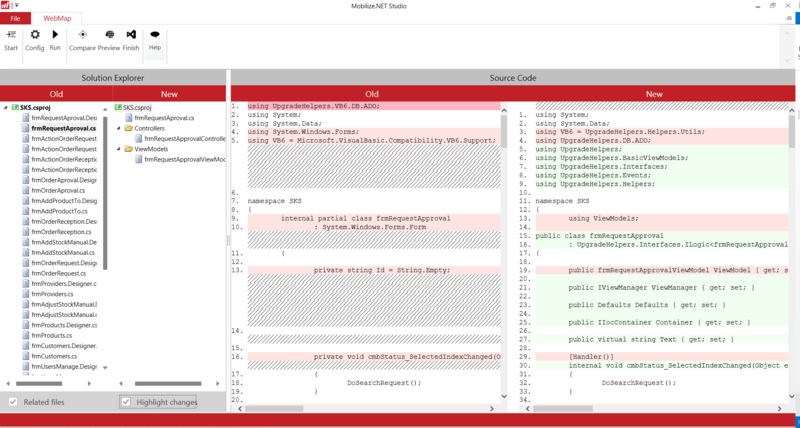 Mobilize.Net tools generate native code on the target platform – with no costly or opaque runtimes which can quickly become the new legacy problem. Unlike the runtime libraries or frameworks which commonly accompany other migration tools, the pure native code model enables customers to continue to evolve the application taking full advantage of all innovations on the new platform. Based on the automated code analysis and transformation technology already in WebMAP, the PowerBuilder tool enables complete migrations in a third or less of the time required for a manual rewrite, dramatically reducing cost and project risk associated with manual rewrites. To date, the beta tool has been used on millions of lines of code to successfully migrate PowerBuilder projects. “Mobilize.Net stood out with their methodology and their very powerful migration tool,” said Robert Burns, Integration Business Leader at CFM Materials. BELLEVUE, WA – Nov 11, 2015 – Mobilize.Net today announced WebMAP3, the industry’s leading tool for mobilizing Windows applications, now targets AngularJS/Bootstrap. WebMAP3 converts classic Windows apps into modern web applications with responsive UI that scales across form factors from PCs to Macs to iPhones, iPads, and Androids. In conjunction with the AngularJS framework, WebMAP3 uses Bootstrap, which provides contemporary CSS stylings and a responsive design. WebMAP3 lets customers take advantage of Bootstrap features like Alerts and Carousels to provide a more natural, modern web app user experience. WebMAP3 generated apps run on all industry standard browsers including IE, Chrome, Firefox, Edge, and Safari. 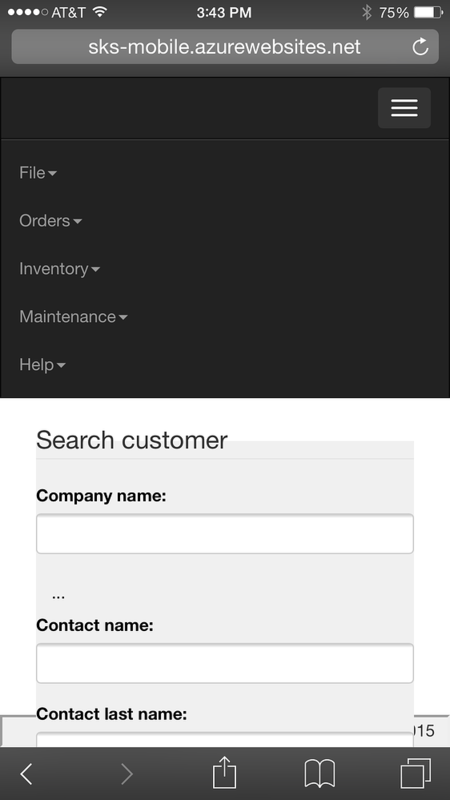 Customers can access WebMAP3 at https://studio.mobilize.net. "$25 billion per year. That's what IT spends annually maintaining millions of desktop apps locked onto obsolete Windows platforms," said Tom Button, CEO of Mobilize.Net. "WebMAP3 recovers the value trapped in those legacy apps through high fidelity translation of the business logic and workflows to current languages and cloud-ready architectures, while maintaining full functional equivalence. WebMAP3 is an onramp to the cloud for valuable business software." Mobilize.Net is the preferred choice for customers who want to modernize their client/server desktop applications to modern platforms. 80% of the Fortune 1000, including leading enterprises and ISVs, have benefited from Mobilize.Net modernization tools. Mobilize.Net technologies also help global system integrators be more competitive and provide faster service to their customers. Customers can try WebMAP3 by registering for a free account at www.mobilize.net/register. 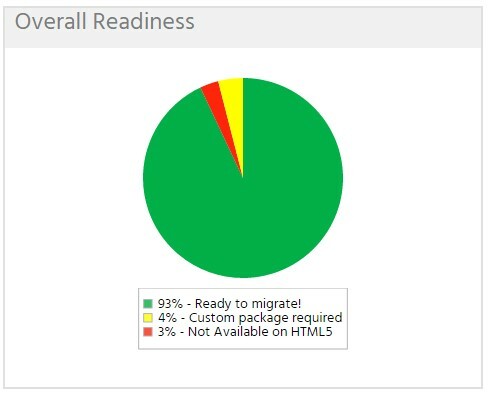 On-Demand Application Analysis and Migration Services Now Available Online. Includes Instant PoCs with Before and After Code Compare and UI Previews. Mobilize.Net today announced that WebMAP2, the industry’s leading tool for mobilizing Windows applications, is now available in the cloud, on-demand, at studio.mobilize.net. In its latest update, WebMAP2 delivers detailed application analytics and visualization, a graphical summary of the readiness of the application for automated migration to mobile, web, and cloud, and instant proofs of concepts previewing generated code, app architecture, and migrated user interface. 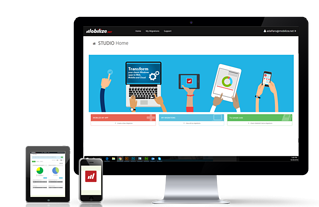 Developers can try it for free at studio.mobilize.net and experience WebMAP2 first-hand. WebMAP2 refactors C#/Winforms applications to modern, industry standard, cloud-ready MVC web architecture supporting mobile HTML5 clients. Apps delivered by WebMAP2 are architecturally clean without proprietary runtimes. The migrated mobile applications can be run on premise or deployed to the cloud. In addition, WebMAP2 preserves variable names, comments, and structure, ensuring readability and maintainability of the resulting application. Customers starting from VB6 can use WebMAP2 also, using Mobilize.Net’s latest VBUC as the first pass. Organizations are using WebMAP2 to accelerate the adoption of modern platforms. Prior to its broad release, WebMAP2 has been used to successfully migrate more than 10 million lines of C#/Winforms code and tens of thousands of Windows forms to HTML5. As a result, WebMAP2 includes thousands of mappings, support for hundreds of the most common controls, to generate native HTML5. Companies using WebMAP2 range from insurance to healthcare to financial services to manufacturing. A leading restaurant chain with a massive delivery business had an unwieldy VB6 application that required complicated maintenance and installation. The company had attempted to rewrite the application three prior times but had repeatedly failed. By using WebMAP2, the company not only got its app up and running within three months, but also met all of its performance and reliability metrics – important when any delay or downtime translates to millions of dollars of lost revenue. One of the world’s largest asset tracking companies chose to use WebMAP2 to migrate their asset tracking system after evaluating the cost and time of doing a manual rewrite. Realizing that a manual rewrite would take at least 3X the money and would double the time it would take to get to market, the company was able to save more than $5M and estimated they beat a manual rewrite by more than a year. One of the world’s largest software companies used WebMAP2 to migrate a large, complicated but unscalable line-of-business order entry application that accounts for $800M of revenue. With WebMAP2, the application was migrated and running on the new platform in three months vs a year. In addition to saving $3M via WebMAP2, the company also protected itself from lost revenues from an obsolete architecture. A leading provider of healthcare management solutions had a mission-critical application that was tethered to a proprietary browser – which complicated portability and also caused issues with Meaningful Use compliance. The company had tried unsuccessfully to rewrite the application but ultimately turned to WebMAP2 counting on its reputation for 100% success. One of the world’s leading providers of financial services technology had multiple versions of a tax application running on obsolete technology and facing government compliance issues. By using WebMAP2 to migrate the code base to HTML5, the company saved over $4M plus at least a year of development time. "Pruvo’s mission is to ensure software quality from end to end and we identified Mobilize.Net as the best market solution for migration. Together, we can empower our customers so they are able to preserve previous investments and knowledge, opening doors to a wide range of technologies as web, mobile and cloud. WebMAP2 provides code quality and reduces the time and cost of moving applications to modern platforms. We look forward to continued collaboration in this great partnership with Mobilize.Net ", said André Sorpreso, general manager at Pruvo. SAN FRANCISCO, CA – Apr 3, 2014 – Businesses with legacy applications trapped on outdated platforms now have an efficient, low risk way to move their apps to popular mobile devices connected to the cloud. Today, Mobilize.Net announced WebMAP2. Microsoft executives demonstrated WebMAP2 for the first time in public this morning at their premier developer event, BUILD 2014, in front of thousands of software developers. Mobilize.Net is now accepting applications for its WebMAP2 beta program. Interested customers can apply at www.Mobilize.Net/BUILD. Mobilize.Net accelerates and simplifies the process of bringing software applications forward to modern web, mobile and cloud platforms. Millions of developers have used our industry leading Artinsoft technology to successfully modernize billions of lines of code. In addition, Mobilize.Net professional services teams have migrated thousands of enterprise applications to modern platforms. The Mobilize.Net solution enables customers to reduce risk, cost and time while moving applications to the platforms users demand. Mobilize.Net migration technology is Microsoft's preferred migration solution for Visual Studio and MSDN customers. The privately-held Mobilize.Net is based in Bellevue, WA, and is led by former Microsoft Corporate Vice President, Tom Button. For more information, please go to www.mobilize.net.